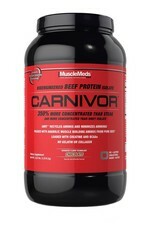 MuscleMeds MM: Carnivor 2lb Chocolate - Athletes Nutrition Inc. It has long been known that bodybuilders and strength athletes consume high amounts of beef to help build muscle and increase strength. The muscle building power of beef cannot be disputed. Ask most any bodybuilder and they will tell you that they make their biggest muscle gains and feel their strongest when they eat beef. Now, thanks to the development of an advanced bioengineered beef protein, MuscleMeds has formulated a highly anabolic muscle building protein. 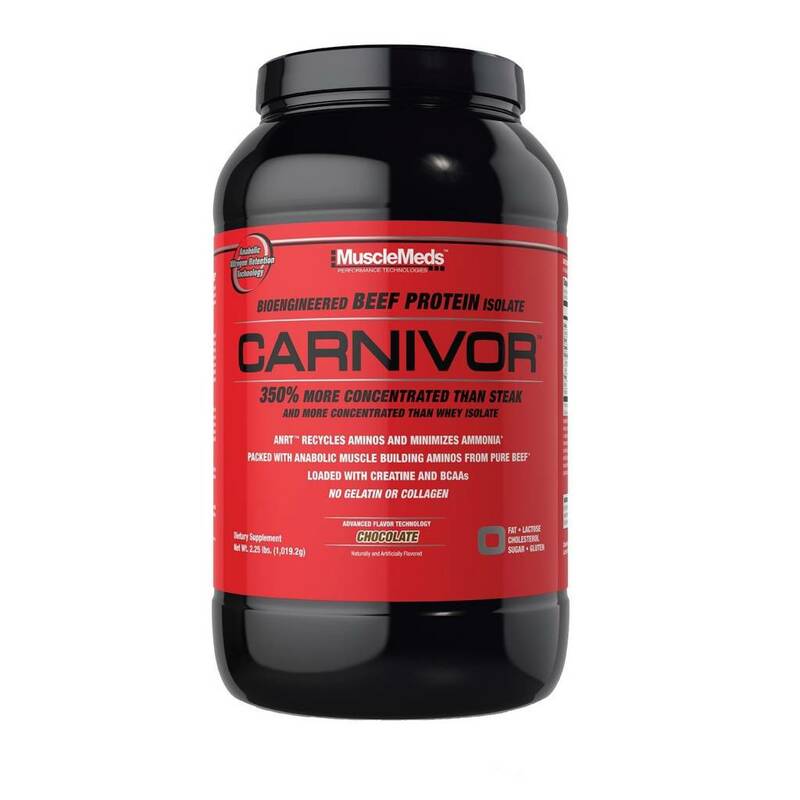 CARNIVOR is unlike any other protein supplement in existence. CARNIVOR was the first beef protein on the market and continues to be the #1 selling Beef Protein Isolate on the planet!